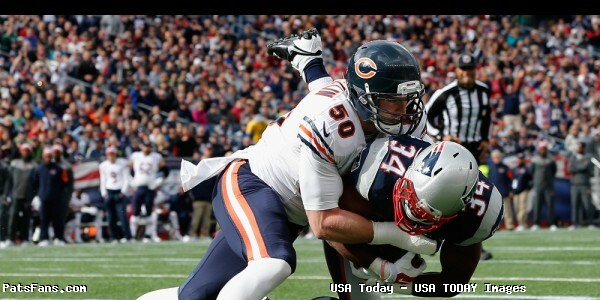 Where Will Shea McClellin Fit in the Patriots Defense? The Patriots made some intriguing additions to the team during free agency, addressing positions of need. They signed WRs Chris Hogan and Nate Washington, DL Terrance Knighton, Chris Long, Markus Kuhn, and Frank Kearse. But perhaps the most intriguing signing was LB Shea McClellin because there exists a big question on just how the team plans on utilizing his strengths. Unlike the much more heralded Long and Knighton, who were paid as one-year rentals far under market value for their services, McClellin was given the most money with a three-year, $9.05 million-dollar contract with $3.5 million fully guaranteed. That is akin to starter’s money, so they definitely have plans on using him somewhere. The question remains, where? McClellin was on the Patriots radar when he entered the 2012 NFL Draft but the Bears selected him in the 1st round with the 19th overall pick. Chicago tried him as a sub-package pass rusher, a full-time defensive end, and then the past two years they’ve stood him up as a linebacker. That’s where he seems the best fit, standing up and playing downhill at linebacker. When McClellin spoke to the Boston media via conference call last month, he said as much stating that he prefers playing an aggressive downhill-type role. “Any aspect with my hand down or standing up, any kind of blitzing, any linebacker position really, anywhere where I’m rushing the passer I feel comfortable in,” McClellin said. McClellin isn’t a good fit as a defensive end. He doesn’t have the size and strength to set the edge, where he played around 260 pounds. The Bears had him trim down to around 245 where at inside linebacker he seemed to be a much better fit. 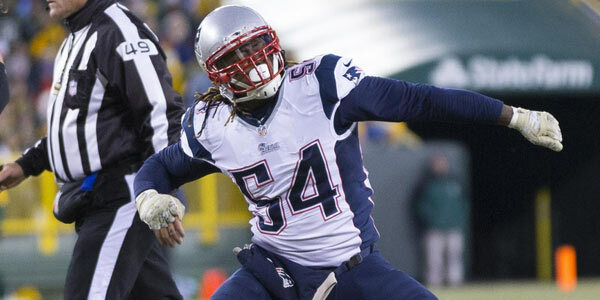 He’s going to have a role when either Dont’a Hightower or Jamie Collins are banged up and when the Patriots use all three linebackers in their base package, but where? The 2015 season saw the Bears use McClellin as their Mike linebacker in the middle. It was the position he looked most comfortable in. With the Patriots, just bringing in all these 300-pound beefy defensive linemen, it would definitely help the Mike in the running game. Collins has been outstanding in the Will or weak side linebacker role. That is the player who makes the most impact, as he’s able to roam more sideline to sideline. McClellin could fit that role at times with his ability to blitz up the A-Gap but would that detract from Collins overall performance? “If they felt Shea could be that impact guy, that would move Jamie [Collins] to the Sam over the tight end, which is probably where you’d want him in coverage, but would he be more of an impact player than Jamie? I don’t see that,” Chatham said. At the Sam, where Chatham played in the Patriots system, he described it as a “more nuts and bolts position”, the linebacker plays over the tight end, jams him up at the line before passing him off to someone else deeper in coverage and sets the edge in the running game. That could be a possibility as well. So where and how the Patriots do decide to use McClellin will be an added piece of intrigue during the spring OTAs, mini-camp and training camp once it begins in earnest on July 27th. Where McClellin is lining up will be an area to watch. The Patriots had some linebackers in the past that came here and failed to catch on, including Chad Brown and Monty Beisel back in the mid-2000s. But more recently, Akeem Ayers and Jonathan Casillas were two players that quickly found a comfort level with the Patriots. McClellin brings to the table the element of versatility. He can do a variety of different things and we’ll look for the Patriots to try him in a variety of different roles throughout the spring and early summer. Then they’ll find a spot that works for him and the team. 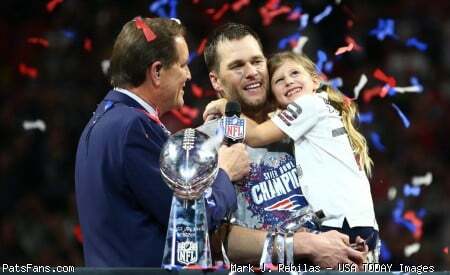 This entry was posted in 2016 Free Agency, Patriots Commentary and tagged 2016 Patriots Roster, 53 Man Roster Projection, Akeem Ayers, Bill Belichick, Chad Brown, Dont'a Hightower, Jamie Collins, Jonathan Casillas, Monty Beisel, New England Patriots, Patriots linebackers, Shea McClellin on May 19, 2016 by Steve Balestrieri.